To build a house, one needs bricks. And in Myanmar, a lot of people want to build houses. They have been living in shaby shacks for too long. 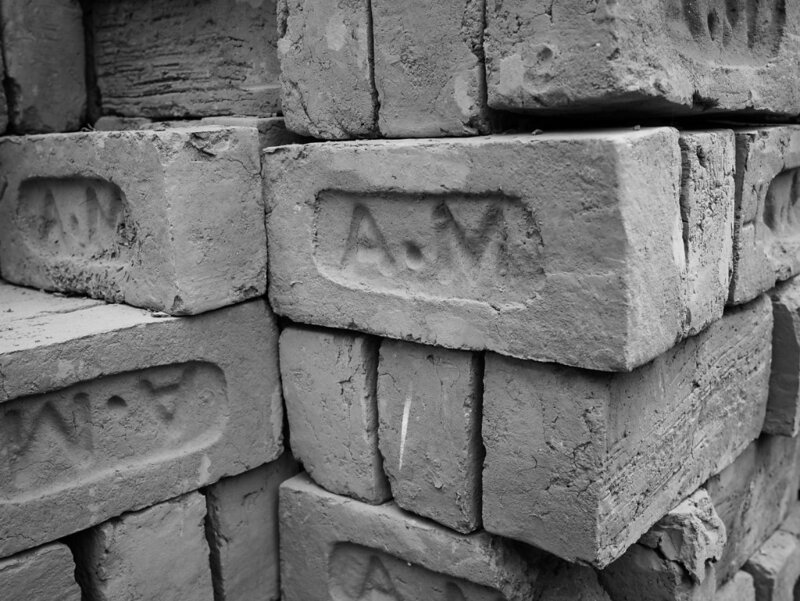 The demand for bricks is high. Where do they come from? We went to the brick factory. 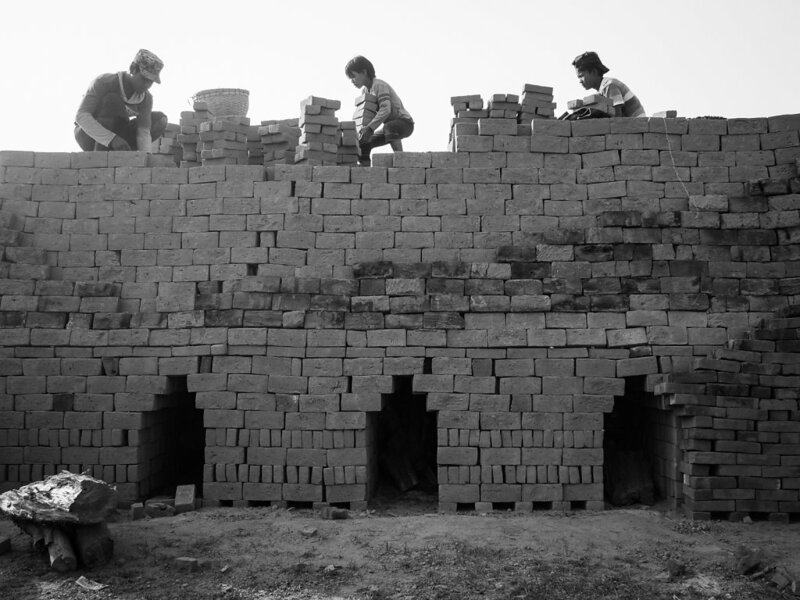 In Yenangyuang, a poor rural town in the dry zone, entire families make a living out of bricks. 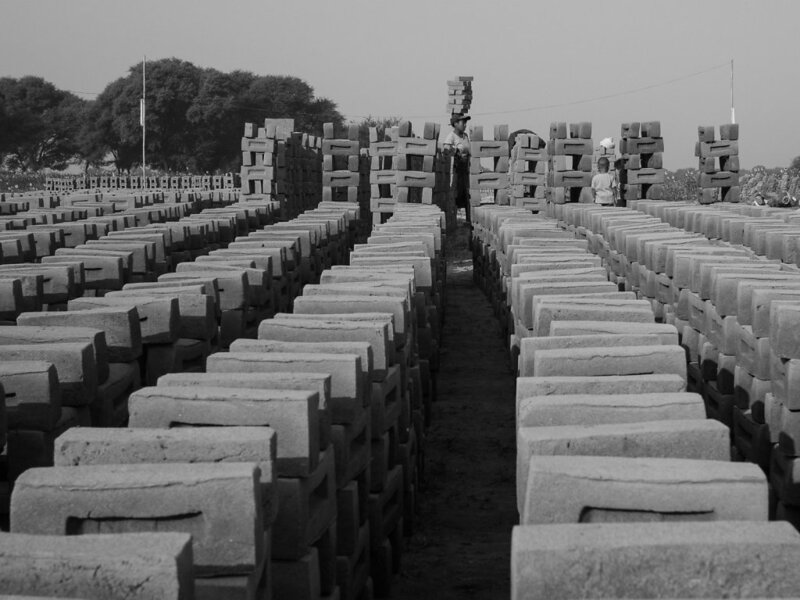 At their factory, all labour, from start to finish, is done manually. This guy is mixing earth and water. 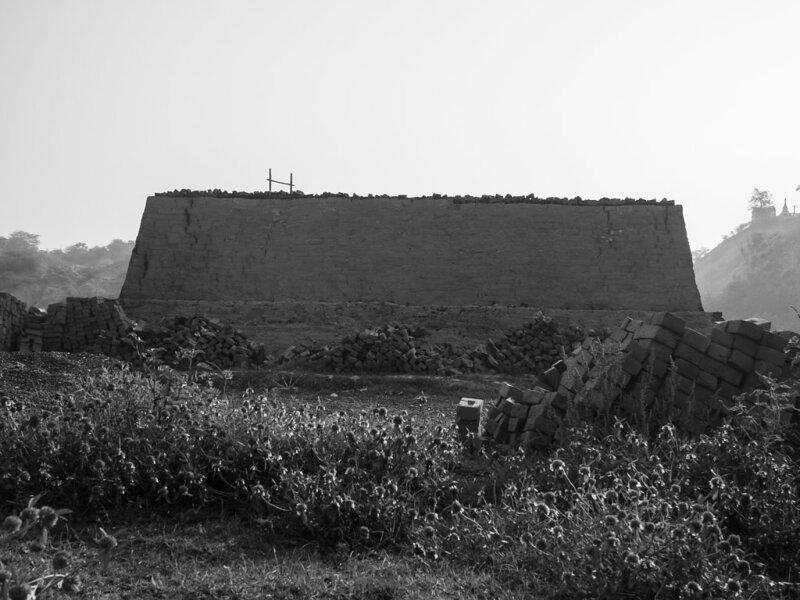 It is the base for making bricks. The base gets formed into the typical shape of bricks. Father and son are experts in shaping. They work six days a week, no holidays. For one brick, they will get 2 Kyats. A family needs about 4000 Kyats (4 $) a day to survive. That’s at least 2000 bricks daily. 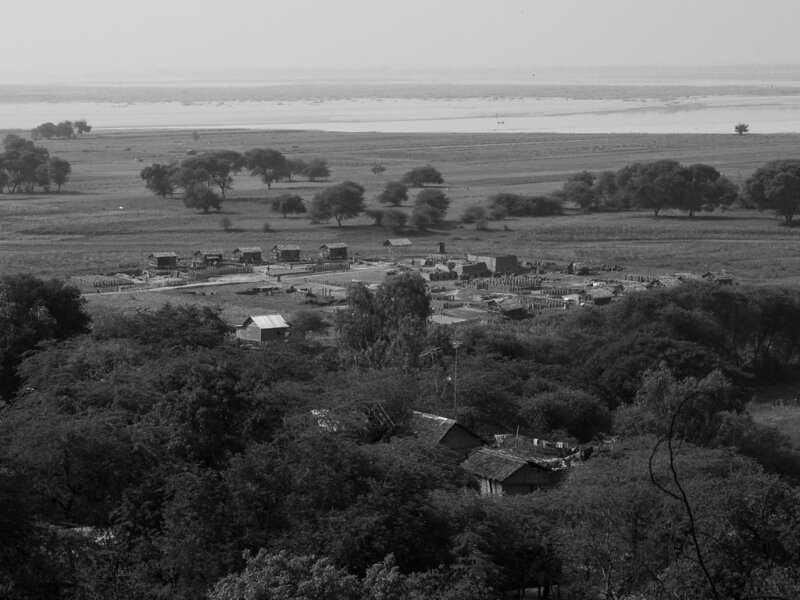 Each family lives in a very basic shack on the premises of the factory. There are ten of them, five on every side. The oven, where the bricks get burnt, is in the middle. From afar, it looks very peacefull, even romantic at night. They now have electricity, since half a year. Thanks to the lightbulbs, they can work longer. The whole area is covered with bricks, layed out to dry. The children are building towers, rows and rows of towers. After a few days in the sun, the bricks are ready for the oven. Girls look after their younger siblings and are responsible for the houshold. They cook, clean and buy supplies. 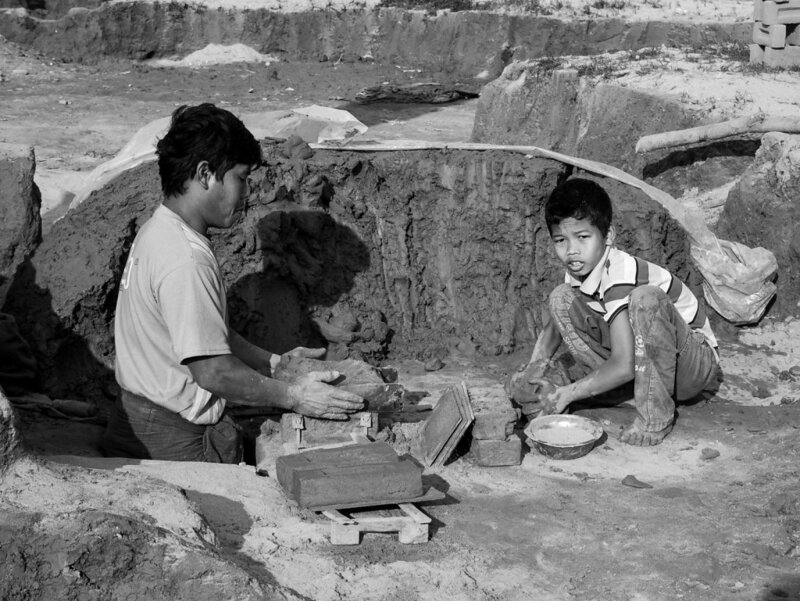 In Myanmar, it is common for children to work. Child labour is a necesity because school is expensive. In order to send one or two children of a family to school, the others have to work. When mothers get abandoned by their men, their children have to work. There is no social security. 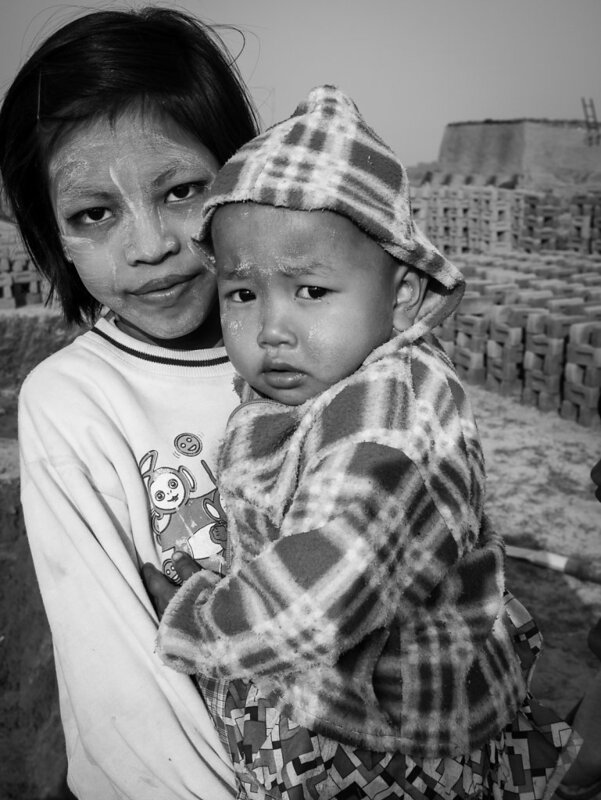 The hardest workers, it seems, are the mothers: They carry 16-20 bricks on their heads, each brick weighing 1.5-2 kilos. 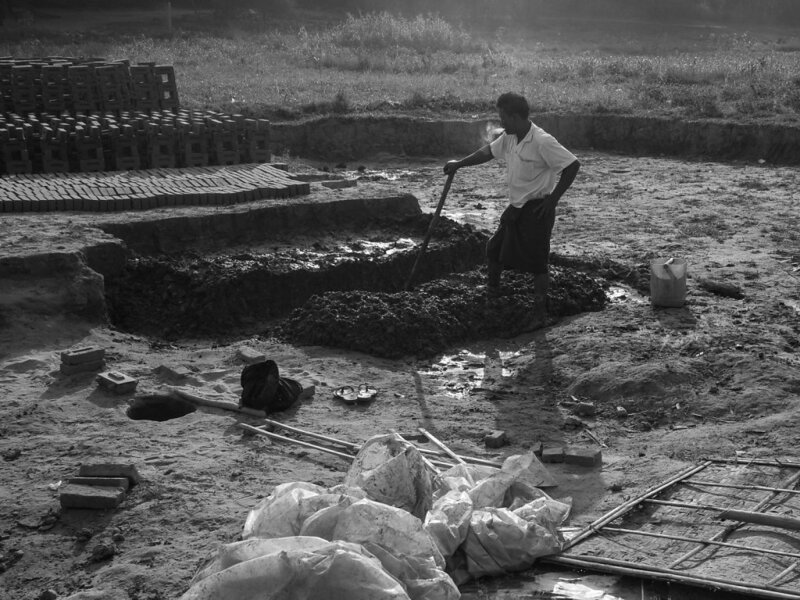 At least 2000 bricks per day and woman have to be moved 50-100 meters. 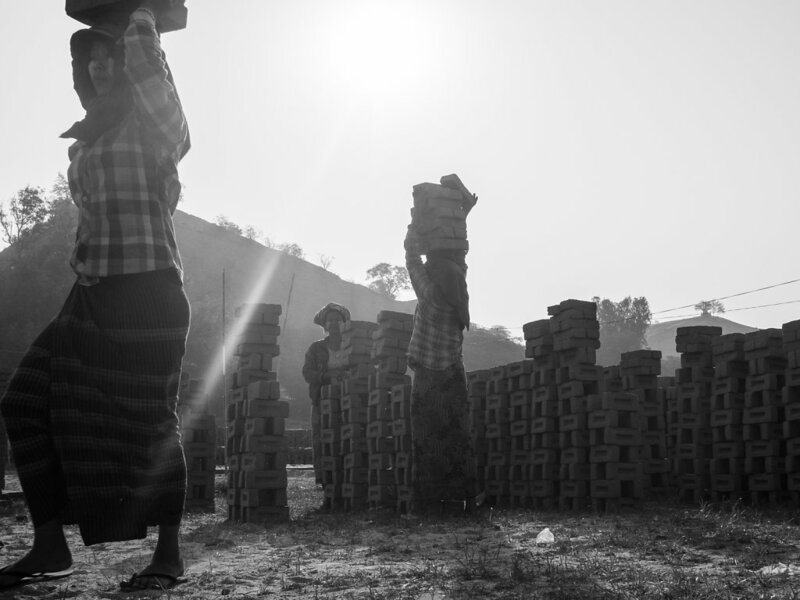 Women bring the bricks from the rows of towers to the oven. They wear a scarf around their head for protection. It gets very hot during the day, over 40° Celsius. There is no shade. Boys carry the bricks up the oven. They build a new oven for every load of about 10’000 bricks. A mixture of wood and nuts is embeded, then they set fire to the oven before the whole thing gets covered in mud to keep the heat in. The bricks burn for a few days, until all the wood is turned to ashes. When uncovered, the bricks come out all red, hard and ready to ship.